HomeA hub for SDG 12Demonstrating Progress Towards SCPPhoto Contest - Show 'SCP in Action'! Photo Contest - Show 'SCP in Action'! The contest - what is it and how can I participate? 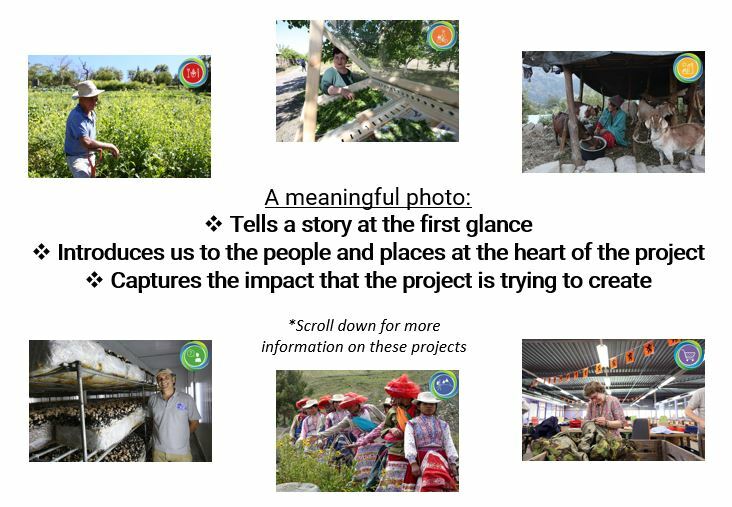 The idea for a photo contest was inspired by the results of the One Planet network reporting exercise of 2017, which included hundreds of images submitted to help convey the impact of what those projects were accomplishing in the shift towards SCP. The Secretariat of the One Planet network wanted a way to highlight, publicise and reward these efforts during the 2018 reporting cycle. This photo contest is a chance for each of the six One Planet programmes to tell their stories, for an opportunity to be featured at a United Nations photo exhibition. This prize will enable your photo and your project to be part of an awareness raising exhibition on Food - the cross-cutting theme of the One Planet network in 2019 - but also on the broader shift towards sustainable consumption and production. The audience will represent worldwide actors including policy makers, state officials, United Nations members, and the general public. Scroll to the bottom of the page to see some more helpful links and background information. Development of Sustainable Housing Design Tool "SHERPA"